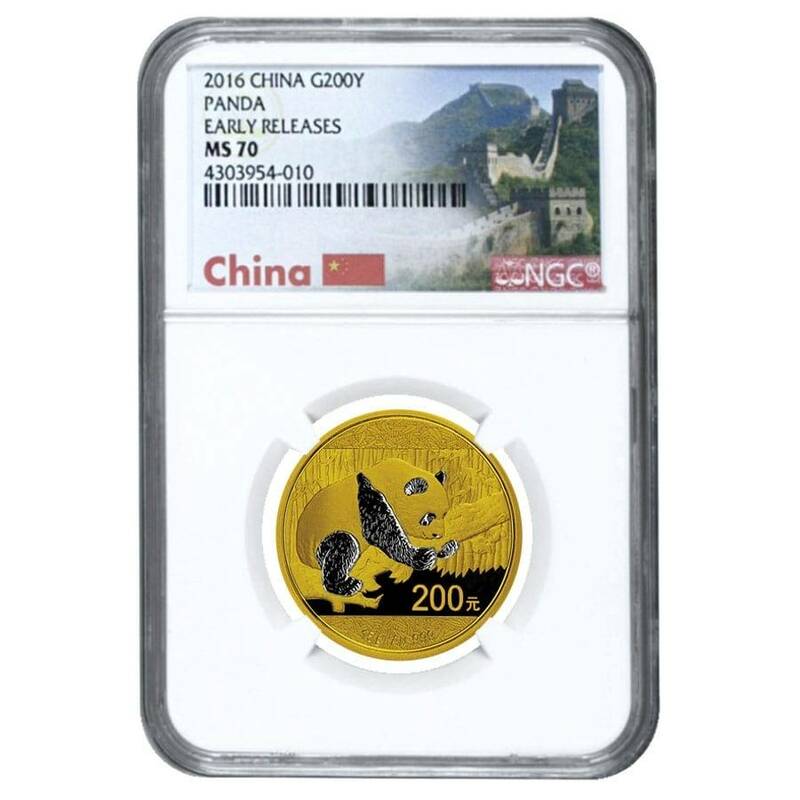 This 2016 15 Gram Chinese Gold Panda NGC MS 70 Early Releases is a great chance to expand your precious metals portfolio. 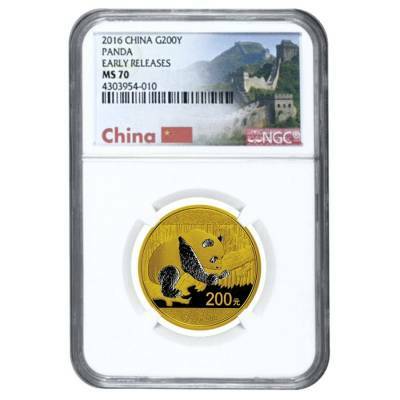 The coin comes graded by NGC as Mint State 70. The obverse features the classic Hall of Prayers in the Temple of Heaven along with the year of mintage. The reverse displays a panda hanging on a branch in a bamboo forest. Inscriptions include weight, purity, and denomination. 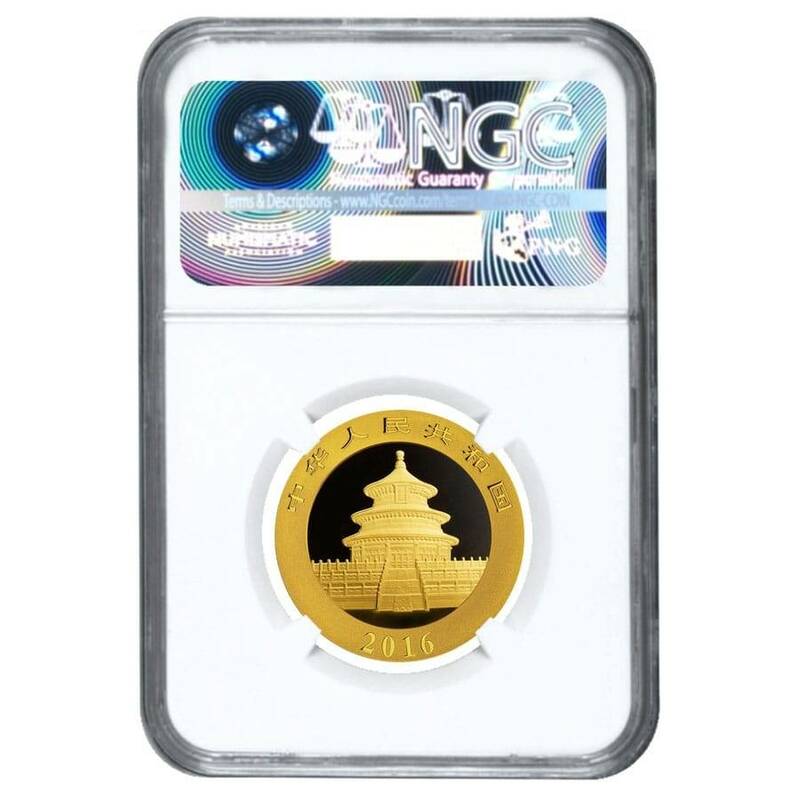 With this purchase, you earn 679 Bullionaire Bucks 679 BB = $0.68. For every $1 spend, you will earn 1 Bullionaire Buck which is equivalent to $0.001 off a future purchase. 679 BB = $0.68.